Say hello to these gorgeous Christmas Kiss Cookies! 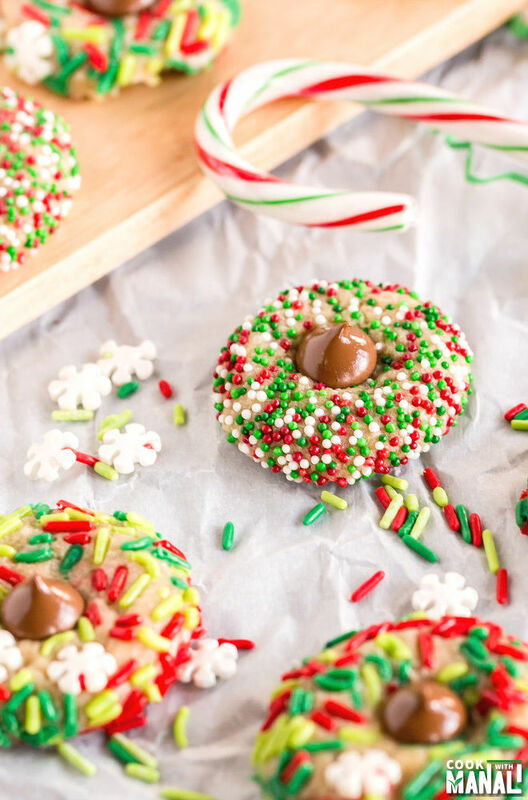 They are super easy to make, taste delicious and look so festive! When I was packing my stuff for India trip, I packed a lot of sweaters and jackets. December in Delhi is cold, like not as cold as in US but cold enough. And I have lived in Delhi all my life so I know how the weather is there during this time of the year however as soon as I landed here I realized that I packed all the wrong clothes! Maybe it’s the environmental change or global warming but it wasn’t cold AT ALL! Like I was going shopping with mom in my t-shirt and trust me I am one of those who wrap themselves in jackets and scarfs as soon as it starts getting cold so you can imagine it must not have been cold at all if I am saying so. I was really kicking myself for bringing all the wrong clothes and then things suddenly changed overnight. In 1 day, the temperature dropped considerably and now we have minimum temperatures in 40s here. I don’t know whether I should be happy about it – because now I can wear all my sweaters and jackets or be sad about the whole thing because I was actually enjoying the pleasant weather! 😐 Oh well, I think I am happy that this cold is still so bearable, I am dreading what it will be like when I return to US in 2 weeks. 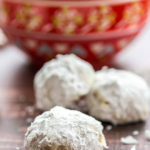 Anyway other than the weather, it’s been raining cookies on Cook With Manali lately. 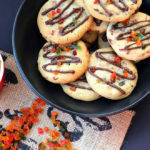 The cookie that I sharing with you today happens to be one of my favorites! I made lots of cookies for the Holidays this year before my vacation. I have to say that the last 2 weeks before leaving for my vacation were really crazy. I think I was in the kitchen 24×7, I really didn’t have a choice. I wanted to make a lot of things to share with you guys while I am away. And in among st all the madness, there were lot of recipe fails [ 🙁 ] and also recipes which turned out awesome and made me happy. These Christmas Kiss Cookies fall in the latter category. Look at them, so festive! 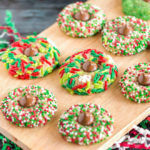 There are so many cookies recipe and it really feels hard to pick a favorite but these Christmas Kiss Cookies are right up there. What I love about them the most is that they are so easy to make. You need few ingredients for these – flour, butter, sugar, milk, vanilla extract, egg yolk and little salt. I am sure you must already have all these ingredients in your pantry and refrigerator. Other than these you obviously need Hershey’s kisses and Christmas Sprinkles. I used mini Hersheys kisses for these but you can use the regular ones too. I hope you do make these Christmas Kiss Cookies for your friends and family this year. You can also give them as gifts by wrapping them in cute little treat bags! Using paddle attachment of your stand mixer or using your hand mixer, beat butter and both the sugars till well combined. Add egg yolk, vanilla extract and milk and mix till combined. Add flour and salt and and mix to form a dough. Once the dough comes together, wrap it with a cling and chill in the refrigerator for 30 minutes. Meanwhile preheat oven to 350 F degrees. Line 2 baking sheets with parchment paper and set aside. Once the dough has chilled take it out and roll the dough into 1 inch balls, you will get around 25-30 balls from this dough. Roll each ball into the sprinkles till it’s well covered with sprinkles from all sides. Form a indentation in the center of each cookie with your thumb. Place the cookies 2 inch apart on the prepared baking tray. Bake the cookies at 350 F degrees for 8-10 minutes, I baked for 10 minutes. Remove from over and with your thumb make an indentation again in the center. Place hershey’s kisses in the center immediately. Let cool on the baking sheet for 3-4 minutes before transferring onto a wire rack to cool completely. * Bake 8 minutes for softer cookies. Festive, easy and delicious! 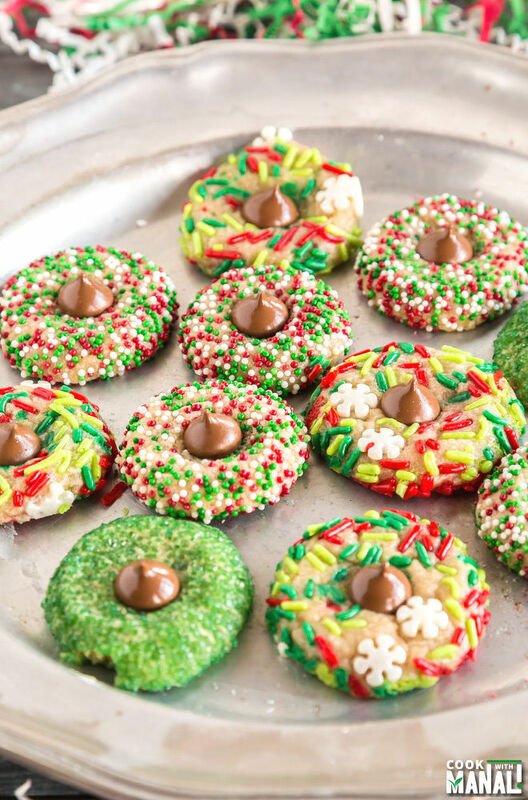 These Christmas Kiss Cookies will be a great addition to your cookie tray! 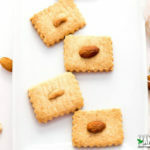 Using paddle attachment of your stand mixer or using your hand mixer, beat butter and both the sugars till well combined. Add egg yolk, vanilla extract and milk and mix till combined. Meanwhile preheat oven to 350 F degrees. Line 2 baking sheets with parchment paper and set aside. Once the dough has chilled take it out and roll the dough into 1 inch balls, you will get around 25-30 balls from this dough. Roll each ball into the sprinkles till it's well covered with sprinkles from all sides. Place the cookies 2 inch apart on the prepared baking tray. Bake the cookies at 350 F degrees for 8-10 minutes, I baked mine for 10 minutes. Remove from over and with your thumb make an indentation again in the center. Place hershey kisses in the center immediately. These are some stunning looking cookies. I think these would be amazing to hand out as Christmas gifts. Hershey kiss cookies are one of my favorites for this time of year! I love your festive version, Manali! Such a fun treat for the holidays! These sure are festive! It’ll make your sweaters all that much more welcome, because these cookies are meant to be eaten in cooler temps! I agree with you! It’s hard to pick between dressing up a classic cookie like this, or making a peppermint double chocolate something. Truly you can’t go wrong though. Cute recipe! These cookies look gorgeous Manali! Thanks for all these Christmas cookie recipes, I really needed them! So festive and cute, love it! These cookies sure are festive, Manali! It’s unseasonably hot here in Charlotte. 74 in December? Crazy! I’m not rocking any sweaters these days. It’s been a cookie festival in my house too! That’s funny how much the weather can change in one day! It’s like that where we live too. Oh well, at least you didn’t have to buy a whole new wardrobe, or I guess maybe that wouldn’t been the perfect excuse to buy new clothes right, lol?! I’ve been cooking away and have had a bunch of recipe fails myself gearing up for the holidays, but these cookies are perfection! I love the festive sprinkles and of course the Hershey’ kiss! 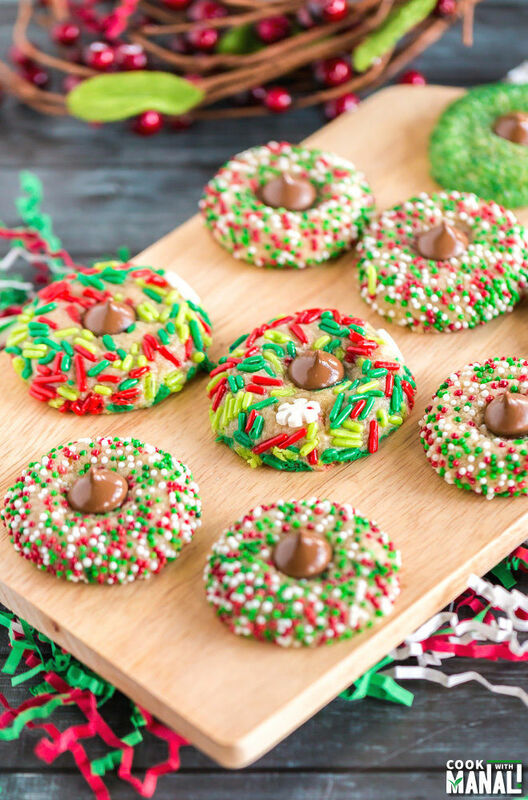 These would make a perfect cookie to take to a cookie exchange too! These are just the HAPPIEST cookies!!! I love them. I love how festive these are!!! I’m jealous you are in Delhi and I’m not! I know how cold it can get in Delhi especially since the homes are not heated. Too bad the warm weather didn’t last! I love adding kisses to cookies! 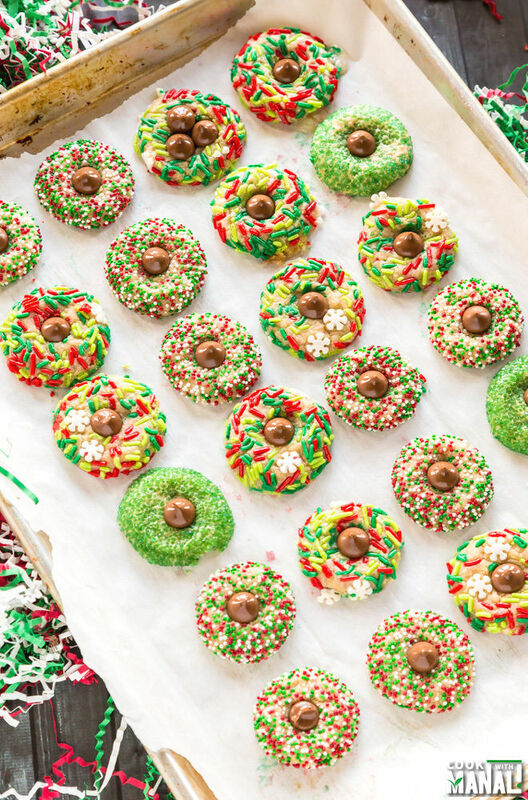 These are so cute and festive for this time of year, love all of the sprinkles! I want to KISS THE CRAP out of these! 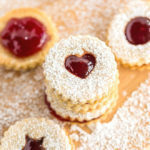 Can i use this recipe for normal sugar cookies?